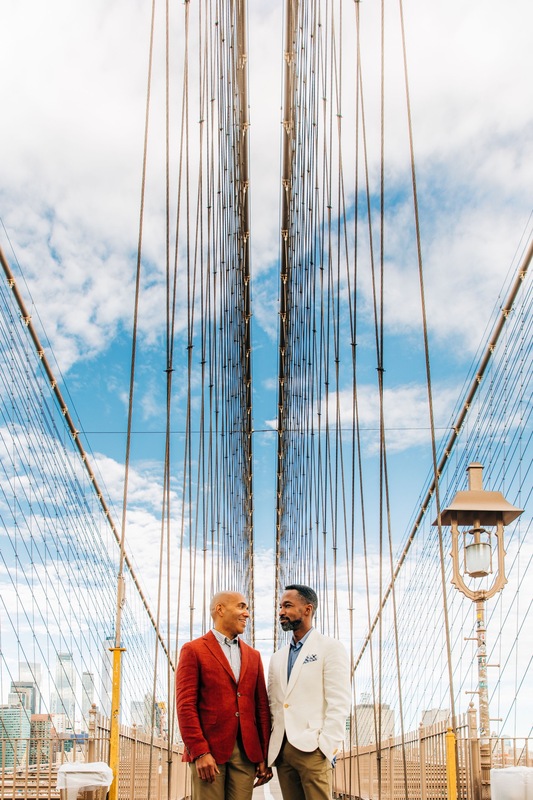 A beautiful early morning in June, we shot Bertram and Jason’s engagement photos on the Brooklyn Bridge and the Dumbo waterfront. A nod to their favorite area in New York, the Brooklyn Bridge provided the perfect backdrop for their colorful palette. We loved the colors in this session, and are very much looking forward to reuniting for their wedding! Bertram and Jason are to be wed at the Riverside Church in May 2019.